Discounted rates are available for non-profit organizations and hourly rates are available for smaller events such as bridal showers, birthday parties, and family reunions. Please call for prices. 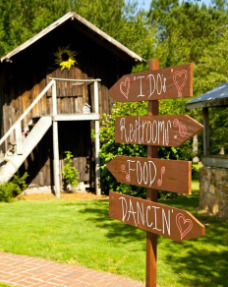 We offer a $250.00 discount for local business and brides from Greene, Morgan, Oglethorpe, Putnam, Taliaferro, and Wilkes County for weekend rentals. A $500 deposit and signed contract is required to reserve your dates. Please refer to the contract for terms and details of reserving your dates.